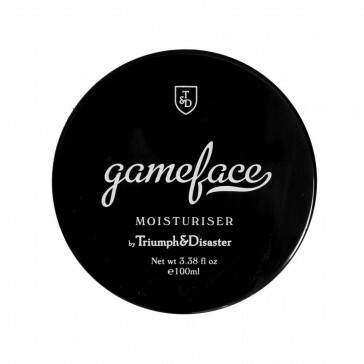 For guys, oily and heavenly fragranced moisturisers are an undesirable. Instead a light, cool, quick absorbing moisturiser that delivers a taut, fresh sensation is the way to go. Application is often after shaving or exposure to the sun and elements, emphasizing the role of a moisturiser as hydrator and calming agent, relieving dry exposed and overly taught skin, energizing it with suppleness and elasticity. Gameface exploits the benefits of jojoba, ponga fern (Cyathea Cumingii) and horopito (Pseudowintera Colorata) to deliver a calming, hydrating and soothing moisturiser that will leave your skin feeling great and you ready to attack the day.